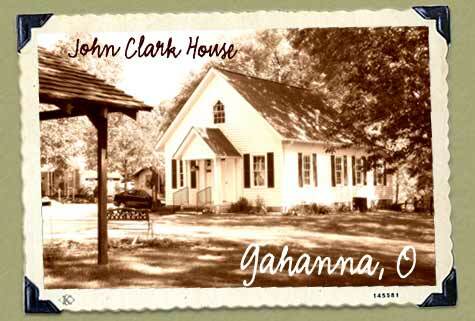 John Clark, son of Joseph Clark who originally set up his farm at the present day Gahanna, became the founding father of Gahanna. 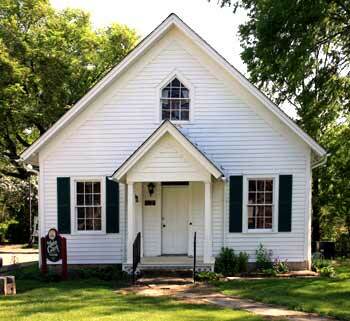 John built his house on Granville Street in the mid 1800s as manse for the Presbyterian Church. In 1973 the house was moved by the Gahanna Historical Society to its current location. 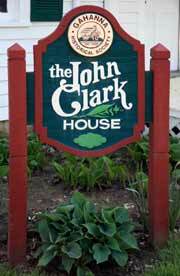 The house has on display many of the artifacts used by John Clark and his family. In 1848- 1849 John Clark and Jesse Baughman, both who were living close to each other, decided to found a town. John Clark, on one side of the dividing line, laid out and had platted a town bearing the name of Gahanna based on the name his father used to call his farm. Jesse Baughman proceeded to lay out and platted a town which he christened Bridgeport. It then became a race as to which name should survive — it is Gahanna now. In 1849 the Gahanna post office was established and it still retains a place on the map. Thomas Young was the first postmaster serving from 1849 to 1853, to be succeeded by John Baughman who held the position in 1859. Jesse Baughman was the founder and original proprietor of the village of Bridgeport, which he laid off in 1853. In 1859 Mr. Baughman built the first gristmill ever erected in Mifflin Township, at Gahanna, and managed it with success until 1865, when he sold out on account of poor health. He served as county commissioner for Franklin County one term - 1853-1855, and was quite often elected township trustee, assessor, land appraiser, and to various other minor offices. He was one of the first to promote the organization of the Franklin County Pioneer Association, of which he remained an active member.